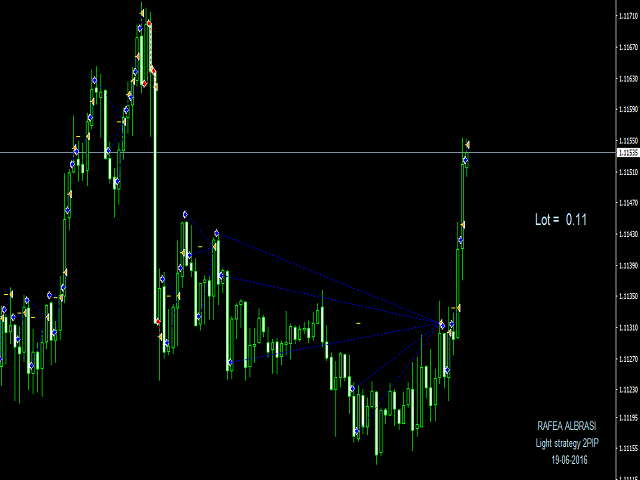 Light Strategy 2PIP can be used for all Currency Pairs, preferred currency EURUSD and GBPUSD on timeframe M15. This expert depends mainly on the form of the Japanese candles. As well as determine the expected direction of currencies. Equally are taking profits from all open positions by taking profits points. It can be used on all timeframes. When using larger time frame than 15, then the minimum number of open positions.